"These guys are great! Customer service is tops. When I left my car for service they drove me back to work, AND they picked me up when my car was ready. Even more important is they know what they're doing, and they're honest. My car had been making a quiet tapping noise that would come and go. It had been doing this for years. I was told by a Nissan dealership that my car needed work on the axle bearings, which would cost $600 plus. When the noise suddenly became loud and grinding I took my car to Alex's. They took a look under the car and quickly discovered the problem. The toggles holding up the parking brake cables were gone, and the cables were hitting against the drive shaft. Marks on the drive shaft showed this had been going on for a long time. The repair cost less than $100! I found Alex's on Yelp and went there because of the 5 star reviews. Well deserved. So I'm adding another five star review. I will never take my car anywhere else"
The good stuff is all true. Been in Benicia and going here for 20 years. Since the "Alex" retired there has been no drop off in service or integrity. They are very honest. I brought in a broke down beater. The fix would have been $800. They suggested it was not worth it. Rather than charge for the diagnostic and toss me the keys, they offered to facilitate car donation to KQED! They took care of everything. I saved $200 in taxes"
The Exhaust System has three main functions. 1) moves exhaust gas away from the engine. 2) Treats the exhaust to remove harmful pollutants. 3) Muffles Engine noise. Is Your Car Making a Funny Noise? Cars are a lot like people - they usually let you know when something isn't quite right with them. Whether it's clicking, squealing or grinding, turning up the radio to drown it out can prove expensive and dangerous. Get familiar with the common causes for the sounds you might hear, and learn what you should do about them. If your car makes otherworldly sounds when you hit the brakes, it's typically a sign that the pads aren't releasing correctly. This generates excessive heat, which results in excessive noise. This problem won't correct itself. In fact, it will only get worse. Make haste to your auto mechanic to have the system inspected ASAP. Note that some vehicles have built-in brake wear indicators that squeal or chirp to let you know when the brake pads need to be replaced. Grinding noises can signal a few different problems, usually related to the brake system, a wheel or axle bearing, a problem in the clutch assembly or a failing starter. If you hear a grinding sound when braking, that could be an indication that you need new brake pads, calipers or rotors. A grinding sound when making a turn, especially along with a loud clicking sound, may indicate a problem in a bearing or the CV (constant velocity) joint or boot. Grinding sounds that occur while you're starting the car are typically related to the starter. Growling or grinding that starts when you press the clutch often indicates a failing part in the transmission or clutch assembly. Sputtering and Coughing and Rumbling! Oh My! If your car sounds like you've trapped an angry badger under the hood, then you might have a problem in the exhaust system. When your car simply sounds louder than before and the extra decibels seem to come from under the car, you may have a hole or bad gasket in your exhaust system somewhere. If you hear what sounds like a box of rocks rumbling around underneath your car, then that could mean a problem with the catalytic converter, the universal joint (u-joint) or the axle. Is That a Bird Under the Hood? If you hear a chirping or squealing noise under the hood, then it may just be a problem with one of your car's belts - usually a fan or drive belt. The drive belt is also called the serpentine belt, and your car needs it to run the air conditioning, power steering and alternator. It's not uncommon for the belt to stretch and wear out over time. Typically this causes an unpleasant squealing sound for a period of time, prior to breaking. If a belt breaks while you're driving, it can cause extensive damage in the engine compartment. If you hear belt noises, get to the auto shop for evaluation. Join KBB's Micah Muzio as he details several ways to improve your vehicle's resale value. Learn more about the importance of keeping your vehicle's fuel pump in good condition and getting it regularly checked by your NAPA Auto Care Technician. 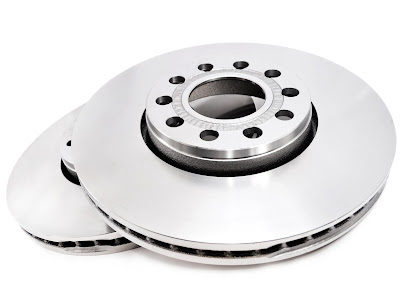 Brakes are one of the most important components of a vehicle. If they are faulty, it becomes almost impossible to control the car. In fact, their failure is one of the leading causes of road accidents. Here is a breakdown of the eight most common systems used by car manufacturing companies. Disc brakes have a friction mechanism designed to reduce the speed at which the wheels rotate. They push the brake pads against the brake rotors using a set of calipers. A single circuit hydraulic system includes a master cylinder that holds hydraulic fluid. The cylinder is linked to a series of rubber fittings and metal pipes that are fixed on the wheel cylinders. To bring the car to a halt, pressure is generated in the cylinder to push the pistons apart and force the brake pads into the wheel cylinder. The drum mechanism relies on friction force. This system has a set of pads that press against the drum when the driver steps on the brake pedal. The anti-lock system is comprised of a hydraulic actuator, electrical control unit, and wheel speed sensors. Each wheel is controlled separately to maintain traction. The primary function of the sensors is to detect and prevent potential lockups. A power booster mechanism uses the vacuum power produced by the car's engine to amplify the driver's foot pressure when stopping the vehicle. Air systems activate the standard disc using natural air instead of hydraulic fluid. It is widely employed in trailers, trucks, and buses. The advanced emergency system is an autonomous safety mechanism that uses sensors to monitor a vehicle's proximity to others in the vicinity. If the sensor detects cars ahead, it automatically stops the car to avoid a collision. The dual circuit hydraulic system is made up of two command circuits. The first one is activated whenever the driver steps on the pedal. The second one is connected to the vehicle's computer; it calculates the amount of force applied and relays that information to the hydraulic pump. Here are two tips for maintaining the efficiency and durability of the braking system. Over time, the system's fluid naturally attracts water, which leads to internal corrosion that compromises the rubber seals and other components. Flushing the system's fluid regularly helps to enhance the durability and efficiency of the internal components. Coasting is a way of reducing speed without causing wear. If a driver wants to stop at the end of a freeway off-ramp, coasting from 70mph to 50mph before stepping on the pedal will reduce wear and enhance the system's efficiency. Finally, a professional auto facility can run diagnostic tests on the brakes to identify flaws and address them before disaster strikes. During this inspection, request that the mechanic checks the thickness of the disc pads to know if they should be replaced with new ones. Now that back-to-school season is here, parents and guardians are focusing on getting their kids to class safely and on-time. For those involved in neighborhood car pools, it means making sure your vehicles are in top-notch condition so they are capable of providing safe and reliable travel for passengers. A simple vehicle inspection is a great way to ensure your vehicle is ready for back-to-school season. Locating, correcting, and preventing vehicular problems will make car-pooling safe and efficient for everyone! Continue reading to review a recommended checklist to use for a car pool vehicle safety inspection. It is important to make sure your vehicle is ready to take on rain, hail, snow, fog, and ice. So start by inspecting your interior and exterior lights. In the case of heavy fog or rain (or late night after-school pickups), dim lights are serious safety hazards, so bulbs should be replaced with newer, brighter ones. Next, check your windshield wiper blades and level of wiper fluid. Be sure to check both front and back windshield wipers for wear and tear. Replace them if needed. Fill up your wiper fluid and keep an extra bottle in the trunk for emergencies. Last, check your tires for proper tread and tire pressure. Low tread on tires is a safety concern because it reduces traction on slippery surfaces. Use the penny test to check tire tread. Insert a penny in the groove of your tire. If you can see Lincoln's head, it means your tread is low. Check tire pressure with a tire pressure gauge. They are inexpensive and easy to find. Match the reading with the recommended tire pressure in your owners' manual. Be sure to have your tires replaced if the tread is gone, or inflated if they are low on pressure. Be sure to give a good inspection to all of the seatbelts and buckles in your vehicle. Check for belt frays, broken buckles, jammed receptacles, missing or broken hinges and latches, and receptacles stuffed inside seats. Next, check your car seats and boosters for damage or missing components. Be sure they are fully locked into place. Your car brakes are a major safety component in your vehicle. They should be inspected and serviced by a licensed mechanic at least once per year. 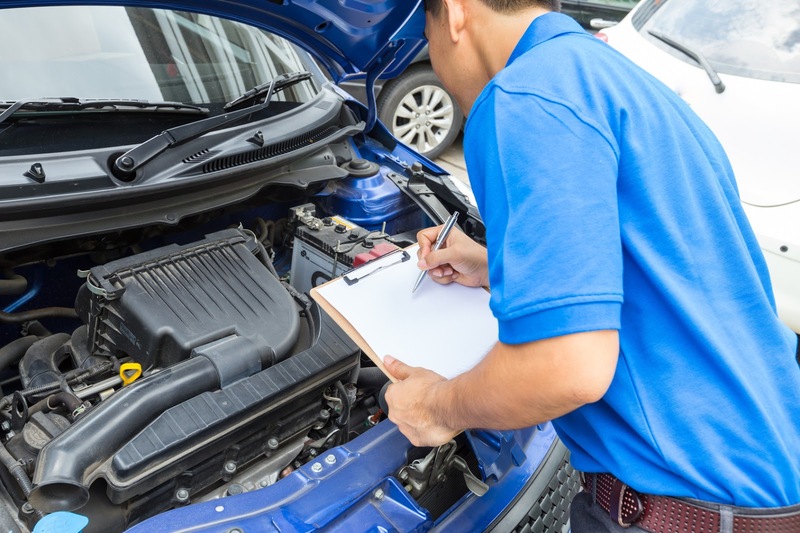 They retain the proper tools, training, and knowledge to provide a comprehensive inspection of your vehicle and determine if it's safe to drive, as well as, locate small issues early on and prevent them from becoming large, costly repairs or safety hazards later on. You will feel confident transporting precious cargo to and from school when you know your vehicle has been professionally inspected and serviced. ARLINGTON, Va. — Buckling precious cargo into a late-model vehicle has gotten a bit easier in the past year, the Institute’s LATCH ease-of-use ratings show. IIHS launched its ratings of child seat installation hardware in vehicles in June 2015. Out of 102 vehicles rated at that time, the majority were poor or marginal. Today, a total of 170 current models have been evaluated, and most are good or acceptable. Three models — the Audi Q7, Lexus RX and Toyota Prius — earn the top rating of good+, a distinction that no vehicle achieved last year.